The past year has been a bumpy ride for Facebook — and even worse for its users. But in 2019 we have a chance to clean up some of the mess Facebook has made by taxing the company to support local journalism. In the spring of 2018, news broke that data firms and troll farms, including Cambridge Analytica and Russia’s Internet Research Agency, had misused Facebook data to spread misinformation and divide U.S. voters. In November, an investigation revealed that Facebook executives had orchestrated a multi-year effort to cover up evidence of widespread abuse of their platform and enabled an anti-Semitic smear campaign against the company’s growing list of critics. And just last week, another investigation found the company allowed advertisers to target messages to people with an affinity for Holocaust perpetrators and neo-Nazi propaganda. In the 10 years since then, Facebook’s user base has multiplied more than 10 times. But instead of giving people the tools to better understand the world, Zuckerberg’s creation has hastened the global spread of misinformation designed to divide populations and manipulate voters. At the same time, news organizations are laying off scores of hard-working journalists, those we rely on to set the record straight. Since 2004, about 20 percent of U.S. newspapers have stopped printing, leaving nearly 200,000 newsroom employees without work and at least 900 communities without anyone covering local news. An interview earlier this week between Recode’s Kara Swisher and Harvard Professor Shoshana Zuboff is a must listen for anyone seeking to understand the "attention economy" and its threat to democratic society as we know it. It’s spawned what Zuboff calls “surveillance capitalism” -- a system that has created massive disparities of power and wealth between those who control it and those upon whom it feeds. 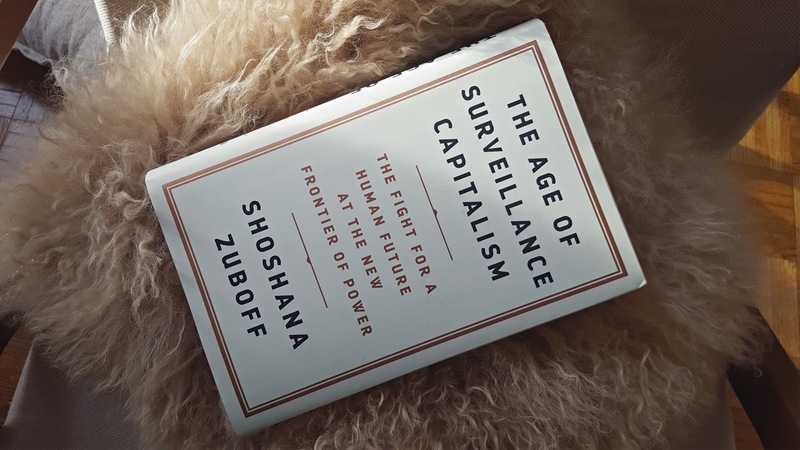 “It’s almost like we woke up and suddenly the internet was owned and operated by private capital under a kind of regime, a new economic logic that really was not well understood,” she tells Swisher. The Puget Sound is a sorrowful sea that’s separated from the Pacific Ocean by the Olympic Mountains to the west. The large body of water lies above the tectonically active edge of North America. Glaciers occupied the Sound during the last ice age, advancing from the north. When they retreated some 13,000 years ago they left behind large deposits of interglacial sediment. These deposits in turn were carved by frequent rain and sea erosion to form high, unstable coastal bluffs, which were soon covered by a dense blanket of cedar, hemlock, maple, alder and fir. 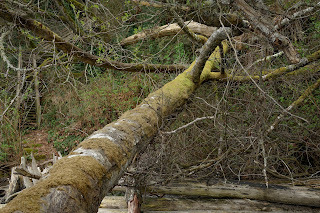 As erosion progresses these trees slide down high bluffs in slow cascades that often take decades to complete from hilltop to shore. The process is sped up when the northwest rains are heaviest. Landslides can carry trees, sedimental clay and underbrush to the beach in an instant. Once they’ve settled on the shore the floral detritus enters the marine ecosystem, where it functions as nutrient, shelter and barrier. It’s been more than a year and a half since we first saw and heard reports of a concerted effort to use faked comments to undermine the FCC’s 2017 Net Neutrality proceeding. From the start FCC Chairman Ajit Pai has been reluctant to help reporters, technologists and investigators seeking to get to the bottom of the scandal, and to figure out exactly who is behind the millions of fraudulent comments that found their way into the agency docket. Thanks to Gizmodo, we now know that Pai’s reluctance may be due to the revelation that the likely culprits behind this fraud were stuffing the docket with comments favorable to his plans to repeal Net Neutrality protections. While official investigations into the matter are ongoing, a pattern of abuse is emerging.